Digital Marketing Agency for the hotel and hospitality industry in Miami, FL. We offer creative and social media marketing for luxury brands, restaurants, and hotels. We can show you how to deploy the perfect hospitality marketing strategy for your fine-dining restaurants, resorts and luxury boutique hotels. We don’t offer marketing plan templates; our focus is to provide unique campaigns exclusively designed by our hotel marketing agency in Miami. All our creative marketing plans to increase direct bookings and increase overall sales. We can demonstrate real samples on how to deploy the perfect hospitality strategy tailored to reach high-end clients. If you are in the luxury hospitality industry, we offer award-winning marketing strategies for restaurants and luxury hotels, result driven campaigns with one purpose in common to keep your brand above the rest. Marketing is what makes the world’s most forbidden destinations locatable by interested guests and excursionists today. You could own a beautiful, boutique hotel, a one-of-a-kind crescent pool that overlooks the ocean, or castle with underground tunnels for once-in-a-lifetime travel opportunities. You could own all of this, and never secure a steady stream of tourists and travelers. Without publicity, marketing exposure, and leads to your hotel, resort or travel company, people will never be able to find what you have to offer. We’re cognizant of the ever-changing nature of hospitality and travel marketing services in our world today, which is why we offer a fusion of marketing solutions, digital marketing support, and social media marketing campaigns, catered perfectly to fit your brand. we provide strategic consultancy on everything related to hospitality and travel marketing strategies. Whether it’s campaign ideas for Live Video on Facebook, or chasing down a reporter at a newspaper halfway around the world, we’re here to provide 24-7 communication, support, and success for you and your operation. If you are in the process of opening a Bistro or a Fine-dining Restaurant and you want to be found by many new customers even before the grand opening. Hiring the best restaurant marketing firm in can help you through this process. 4) Do you appear on Google? If you're a restaurant owner and are looking to improve the visibility of your restaurant, creating a checklist it is only the beginning LuxuryJourney offers well-crafted marketing campaigns and search engine optimization for restaurants in Miami, Florida. Finding the right SEO agency for your business is imperative. We offer results and we are the best restaurant marketing agency for search engine optimization in Miami Beach. In fact, we can show our ranking results any time. Search Engine marketing can lead your restaurant to reach the next level and start to think about opening the next one. Contact the best restaurant marketing agency in Miami for a customized quote and talk about your award-winning restaurant. 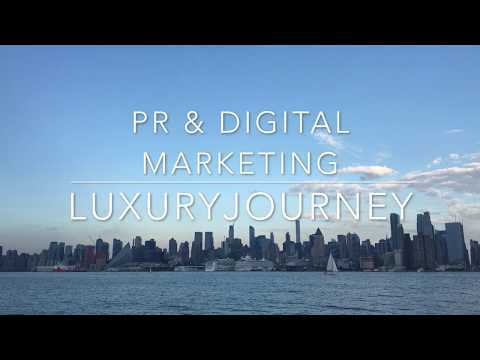 Luxury Journey Public Relations & Digital Marketing specialize in creative marketing ideas and search engine optimization for fine-dining restaurants in Miami and New York City. Restaurant Marketing Agency in Miami.